This year the National Young Writers’ Festival is asking you to ‘Get Lost.’ Lost in the endless nooks and crannies of the Australian writing maze. The 2016 program boasts the largest artist count in NYWF history with 117 writers coming from all over the country as well as New Zealand. The NYWF team are very excited to announce artists Omar Musa, Claire Sullivan, Jennifer Down, Eliza-Jane Henry-Jones, Ellen van Neerven, Jonno Revanche and Giselle Nguyen will be among the many making their way to Newcastle this year. This smorgasbord of talent will be workshopping, reading, debating, conversing and panelling their way through the many challenges, trends and revolutions of the contemporary writing scene, covering topics as diverse as gendering loneliness, shorthand, fringe dwelling, and the state of comedy in Australia.Expect to see a return of festival favourites like the Late Night Readings, Zine Fair and theannual festival ball. 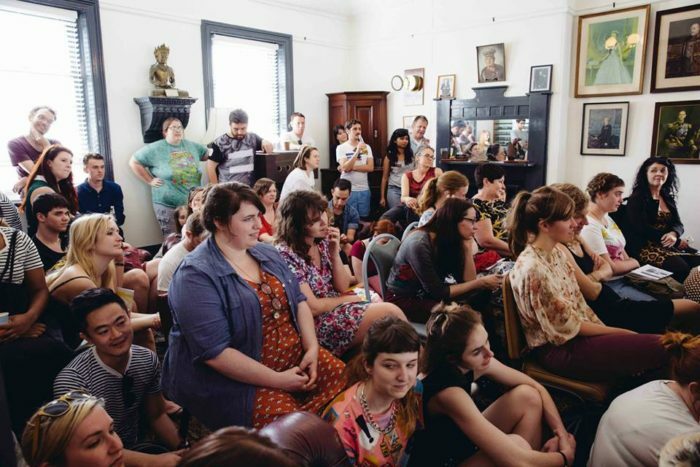 This year NYWF is looking to be more inclusive than ever, with a bunch of open access events including an open mic event every night, street events, games, a science party and so much more! Presented by This is Not Art (TiNA), the National Young Writers’ Festival is the country’s largest gathering of young and innovative writers working in both new and traditional forms including zines, comics, blogging, screenwriting, poetry, spoken word, hip hop music, journalism, autobiography, comedy, songwriting and prose. The festival presents ‘writing’ in its broadest sense through panels, discussions, workshops, launches, performances, readings, installations, and more. NYWF occurs annually in the city of Newcastle over the NSW Labour Day Holiday Weekend in late September/early October. This year’s festival will be held from September 29 to October 2. Stay tuned to National Young Writers’ Festival for the full program release. This entry was posted in News and tagged artist, Australia, Newcastle, NYWF, Program, This is Not Art, writers, writing. Bookmark the permalink.